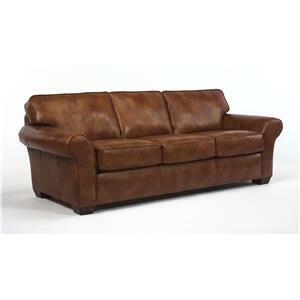 The centerpiece of your living room or entertainment area, this stationary leather sofa offers quality comfort and chic style all-in-one. 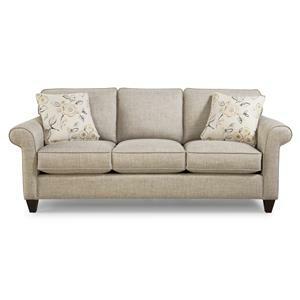 Complete with a flared rolled arm and plastic block leg on each side, this sofa's contemporary style brings a fresh, energetic vibe to any room in your home. 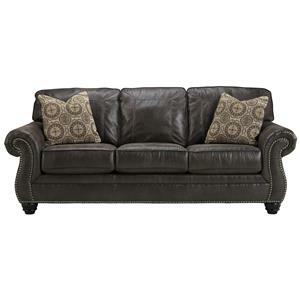 With its loose fiber cushions and thick rubber webbing, each seat is both soft and supportive - its plush, leather upholstery only adding to its sleek look and feel. 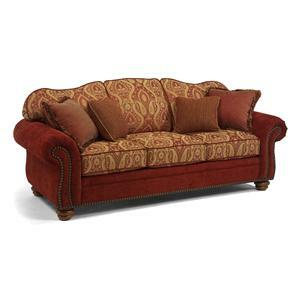 Perfect for lounging with a few friends, this 3-seat sofa is an essential living room item. 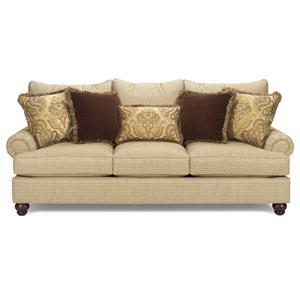 The 2274 Contemporary Leather Sofa with Flared Rolled Arms by HTL at Fashion Furniture in the Fresno, Madera area. Product availability may vary. Contact us for the most current availability on this product. Fabric Content Leather all over solid birch frame. Frame Construction A solid birch wood frame features thick elastic rubber webbing for support. The entire frame is wrapped in 2" thick foam for comfort and look. Seat Support Thick elastic rubber webbing in back to support the frame. Sinuous spring in seat to evenly distribute weight. Padding & Ergonomics Loose fiber in back and seat cushions. The 2274 collection provides you with a cozy yet stylish living room. 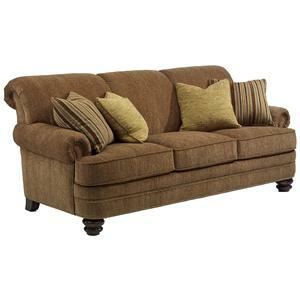 Featuring rolled arms, block legs, and ultra comfortable cushions, these items are sure to please everyone in your family. 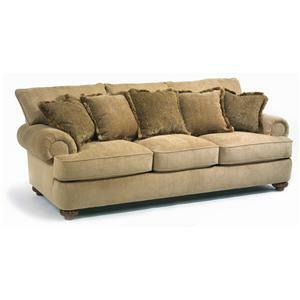 The 2274 collection is a great option if you are looking for Transitional furniture in the Fresno, Madera area.